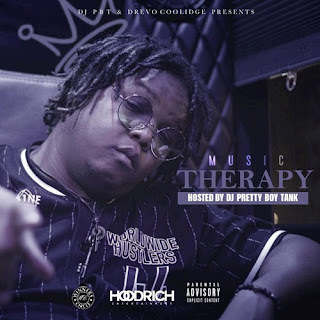 Drift into the mind of Jackson, Mississippi artist Drevo Coolidge as he drops a new tape series entitled "Music Therapy" following his growing pains, addictions, and love. The mixtape is hosted By DJ Pretty Boy Tank of Hood Rich. "Music Therapy" is a six track mixtape that is lead by his records "Bombay & Lighters" and "Viral". It also includes production from Nate Rhoads, 30Hertz, TyRose and Twan Beatmaker.